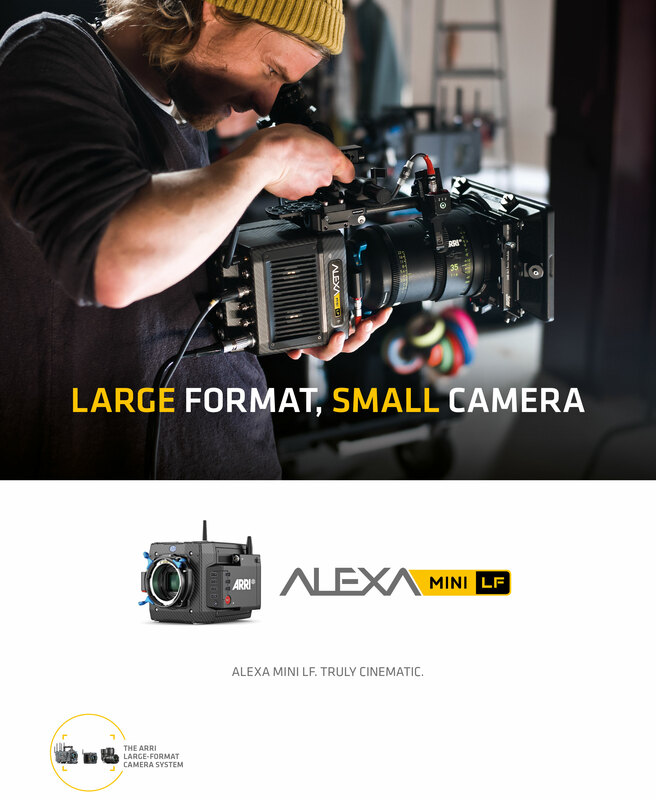 Introducing ARRI's ALEXA Mini LF. 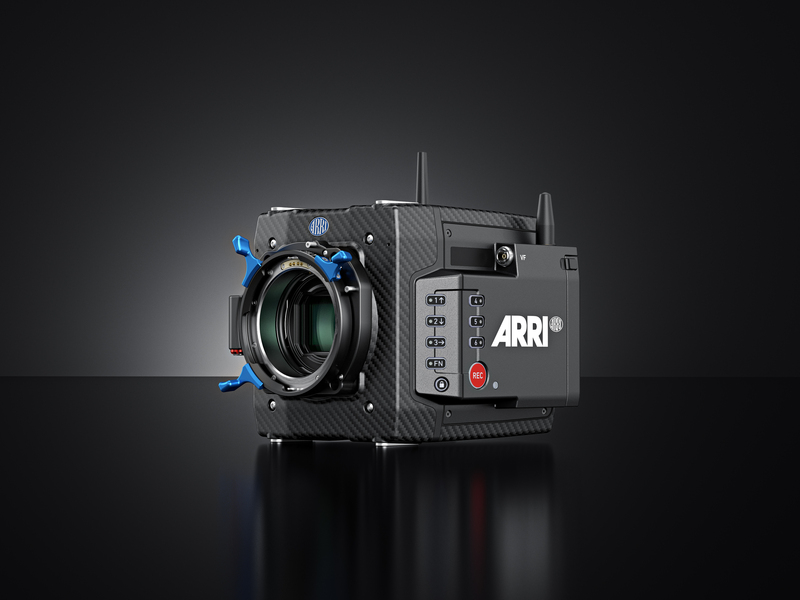 The next level in ARRI's ALEXA series combines the compact size and low weight of the popular ALEXA Mini with the large-format of the ALEXA LF sensor. The ALEXA Mini LF brings exciting new creative possibilities to ARRI's large-format camera system. The LF camera system consists of the high-speed ALEXA LF and ALEXA Mini LF cameras, ARRI Signature Prime lenses, LPL lens mount, PL-to-LPL adapter, and Lens Data System LDS-2. The combined feature sets and form factors of ARRI's two large-format cameras encompass all on-set requirements. 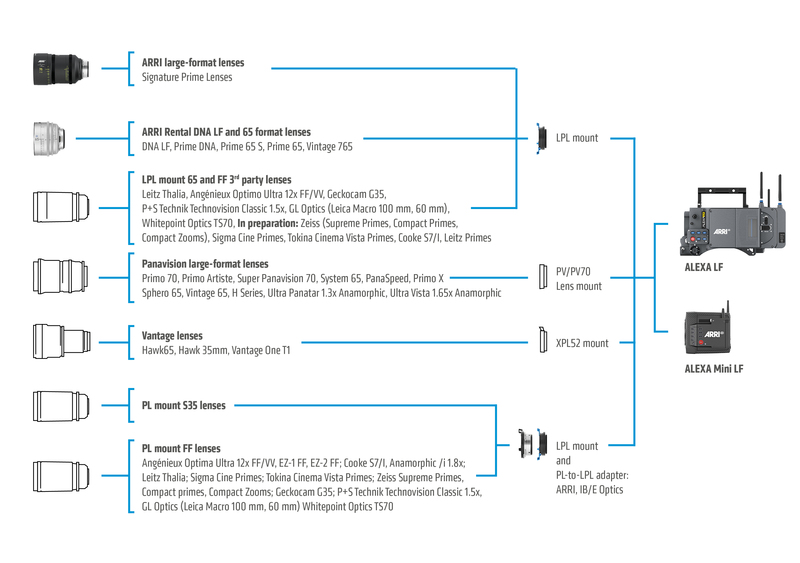 The LPL lens mount accepts ARRI Signature Primes, ARRI Rental DNA LF and 65 format optics, and third party LPL lenses. The PL-to-LPL adapter, which attaches securely to LPL lens mount without tools, offers backwards compatibility with all PL mount lenses, whether they are Super 35 or full frame. LDS-2 or or /i lens metadata is accessible via the LPL mount, and LDS-1 or /i via the PL-to-LPL adapter. ARRI’s Frame Line and Lens Illumination Tool, available in the Learn & Help/Tools section of the ARRI website, illustrates how much of the large-format sensor is covered by a given lens. Perfect for High Dynamic Range (HDR) and Wide Color Gamut (WCG) displays.